Titanium Grade 5 Sheet Supplier, UNS R56400 Sheets, Grade 5 Titanium Sheet, Titanium Grade 5/Ti-6Al-4V Sheets, Grade 5 Titanium, Ti-6al-4v, 6Al-4V Titanium, Titanium Grade 5 Ti6Al4V Sheet, manufacturer, Suppliers, Exporters, Mumbai, India. The most common market for 6AL-4V is aerospace. Lightweight grade 5 titanium sheet is well suited for applications such as compressor blades, discs, and rings for jet engines; airframe components; pressure vessels; rocket engine cases; helicopter rotor hubs and critical forgings requiring high strength-to-weight ratios. 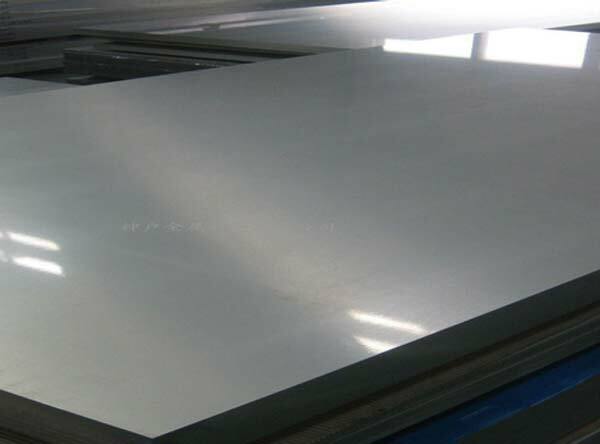 Ti-6AL-4V titanium sheet stock is also age hardenable by heat treatment to achieve even higher strengths. This biocompatible material is also well suited for medical implants. Its mechanical and physical properties allow good capacity for titanium to join with bones and other tissue. We are a worldwide supplier of Grade 5 Titanium sheet – it is one of the most popular alloys in the titanium industry and accounts for almost half of the titanium used in the world today. Commonly referred to as Ti-6Al-4V (or Ti 6-4), this designation refers to its chemical composition of almost 90% titanium, 6% aluminum, 4% vanadium, 0.25% (max) iron and 0.2% (max) oxygen. It features excellent strength, low modulus of elasticity, high corrosion resistance, good weldability and it is heat treatable. The addition of aluminum and vanadium increases the hardness of the material in the alloy matrix, improving its physical and mechanical properties.